Asparagus Recipes – Get Cooking! Salmon isn’t just one of the most healthy options for dinner, it’s also one of the easiest and most delicious. While grilled salmon is something I’ve always been NUTS about, I’ve found that I love oven baked or “roasted” salmon just as much. I guess I’m afraid something will sneak in and I won’t know about it. 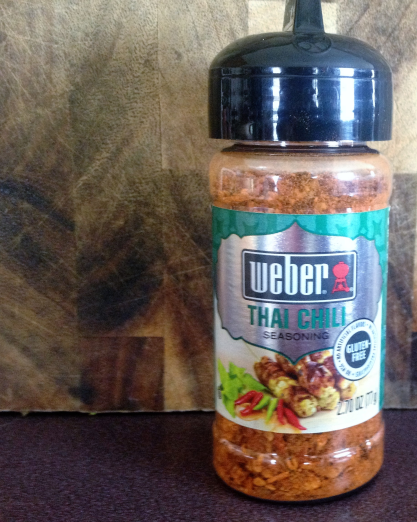 I always check the Weber spices and seasonings because they are excellent at labeling their gluten free products. Big, proud, bold letters make this gluten free gal happy. I had actually planned on something entirely different for supper, but when I saw this seasoning, I gathered up salmon and veggies to accompany it. 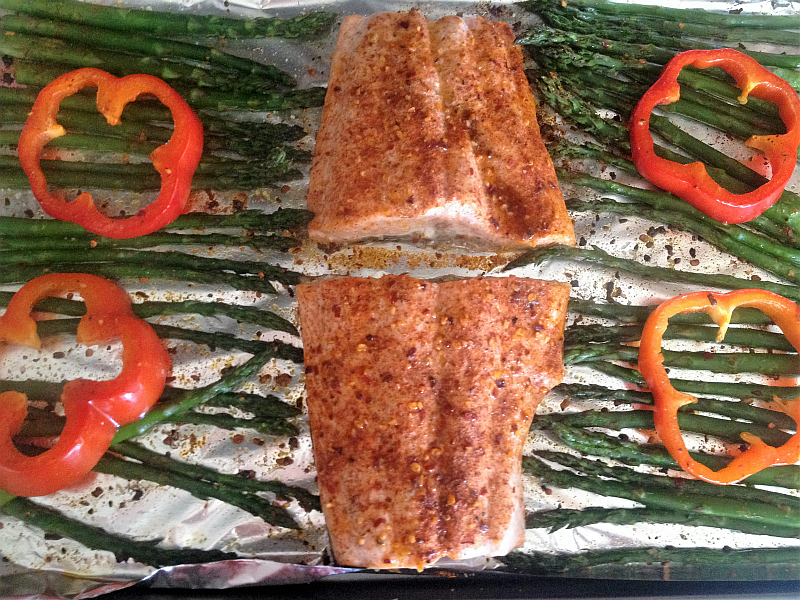 The delicious Thai Chili seasoning was amazing with the salmon as well as the red pepper slices and asparagus. I’ve also used it with roasted new potatoes and, again, it’s a knock-out. Side note: This is not a review of this seasoning (sponsored or otherwise)… I thought I’d point that out because it was beginning to sound like a commercial up in here. I just can’t help myself sometimes, you know. Cooking excites me and new “play pretties” get me all worked up. Simply preheat the oven to 450 degrees F. Season your salmon (and, in this case vegetables) with salt, pepper, and (if desired) a special seasoning like Weber’s Thai Chili Seasoning. Place salmon, skin side down, on a non-stick baking sheet or line with foil for super easy clean up. Bake until salmon is cooked through, about 12 to 15 minutes. If you’re roasting vegetables along with the salmon, check for their “doneness” earlier. I personally like for my asparagus to have a little crunch, so I actually took it out of the oven sooner than the salmon. Next time, I plan to use separate pans and allow the salmon to get a head start… keeping roasted asparagus “perky” while something else finishes cooking is all but impossible. Look for Weber Seasonings in your store or on Amazon. 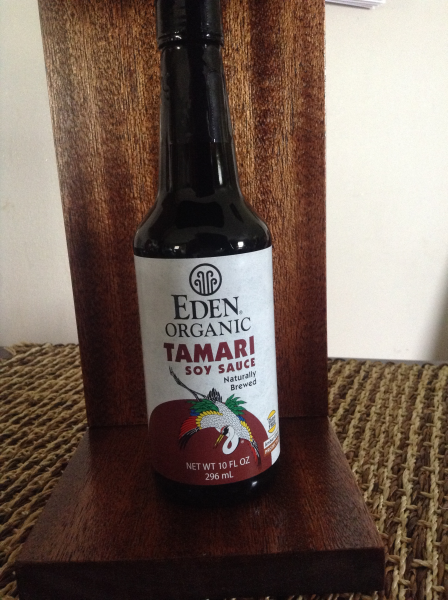 This is one of the best seasonings I’ve had in a long time. Is Asparagus the Perfect Vegetable? Cream cheese wouldn’t stand out against the white background, but it’s an absolute obsession. I couldn’t work the jar of honey into the scheme of things – but I’m all about honey. The cup of tea caused it to look like there were two cups of coffee – not that I’m ever against the idea. My coconut looked like a shrunken head. True story. I was afraid that my cat Alexa’s pic would make people think I ate cats, but she’s my constant, beloved, kitchen companion. My avocado picture looked more like a grenade than an avocado, but my kitchen is seldom without a bowl of avocados. You will notice, however, that I worked asparagus in. And in a big way. He’s looming pretty large, isn’t he? I just can’t get enough of this versatile, delicious, and always beautiful vegetable. I actually once planned on building a website/blog dedicated to asparagus and only asparagus. I even had a name for it (Asparagus Tips…. get it? Tips?? So clever.) but when I saw that the domain name was taken, yet not even used, I put the idea in the cupboard. Asparagus, a spring vegetable, is a member of the lily family. Under “just right” conditions, an asparagus spear can grow 10″ in a 24-hour period! Shown at the top of the post is the Stainless Steel Asparagus/Vegetables Steamer . This ingenious steamer allows you to steam your asparagus with the stalks upright while the delicate tips are gently steamed in boiling water. Apparently, I’m not the only one who’s ever been obsessed with asparagus. France’s Louis XIV had special greenhouses built for growing this delicious vegetable and Madame de Pompadour is said to have eaten asparagus tips with great passion. The Greeks and Romans ate asparagus fresh when it was in season and dried it for eating during the winter. I’d love to know their technique – just out of curiosity. Can you imagine how excited they’d have been if they could eat asparagus year-round like we’re able to do?! 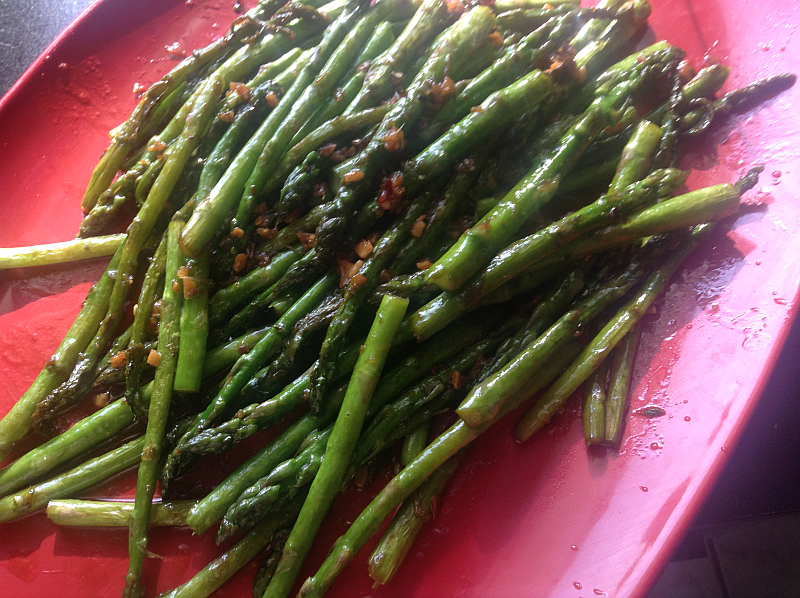 One of my favorite ways to cook asparagus is my Simply Delicious Asparagus recipe. My husband’s favorite way for me to cook asparagus is when I use my Cast Iron Skillet. It’s heavenly fixed this way, very flavorful. See Cast Iron Skillet Asparagus. Cut up fresh asparagus for tossed salads. You can never have too much flavor or nutrients in a salad and I’m hooked on the crunch! Add steamed asparagus to omelets and scrambled eggs – along with red pepper and chives, you’re absolutely set. Serve cooked asparagus alongside fried or poached eggs – covering everything with Hollandaise Sauce. Serve steamed asparagus with roasted pine nuts or sunflower seeds for extra flavor and fun. Serve asparagus alongside cooked, sliced potatoes and cover all of it with Hollandaise Sauce. Speaking of Hollandaise Sauce, my favorite recipe is Tyler Florence’s Hollandaise Sauce. The health and nutritional benefits of asparagus are very impressive: Very low in sodium, asparagus has no fat and no cholesterol. Asparagus is high in Folic Acid and is a good source of potassium, fiber, vitamin B6, vitamins A and C, and thiamin. But there’s more. Asparagus is also a great source of vitamin D and the antioxidant glutathione. Each of which (along with Folic Acid) are believed to play some role in lowering risk factors for certain cancers.